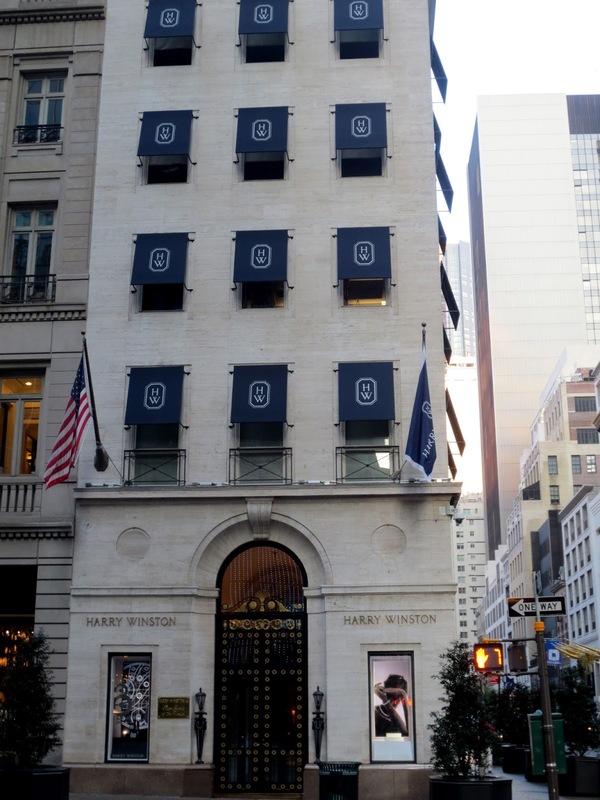 The simplest ring in Harry Winston Jewelry shop, located at 718 5th Avenue, is $2,600. Wedding bands of more than twenty different styles start at $3,900.For over a century, Harry Winston has been synonymous with exquisite gems and jewelry that rival (and often surpass) the royal collections of the world. 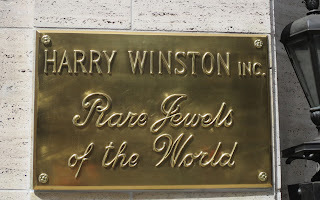 Harry Winston was a famous American jeweler. Known as the “King of Diamonds”, he owned the Blue Hope, a 45.52 carat deep blue diamond, discovered in India 300 years ago and considered to be the rarest gem ever fond on the Earth. 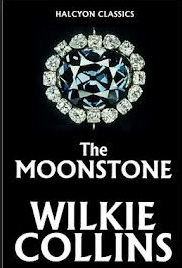 The plot of the first detective novel in the English language , “Moonstone” by Wilkie Collins (1868), is based on the legend about Blue Hope . Henry Winston was the last owner of Blue Hope and donated it to the Smithsonian National Museum of Natural History in Washington in 1958 after owning it for a decade. 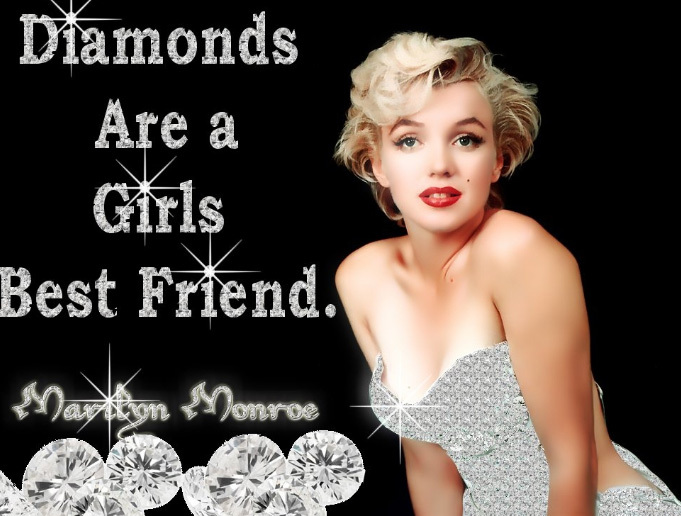 Winston famously sent the diamond to the museum via USPS. 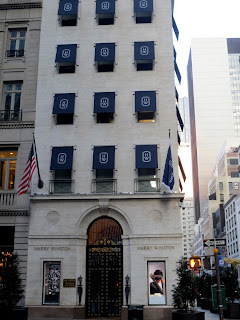 Over five million people go to the Harry Winston Gallery in the Smithsonian every year to view the Hope Diamond. 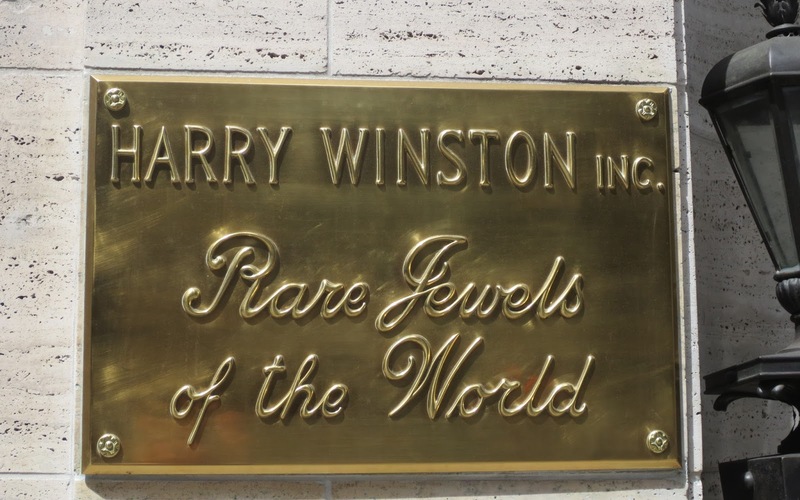 Winston was among the most famous jewelers in the world, well-known to the general public. In the 1953 musical film "Gentlemen Prefer Blondes", the song "Diamonds Are a Girl's Best Friend" includes the spoken interjection "Talk to me, Harry Winston, tell me all about it!" 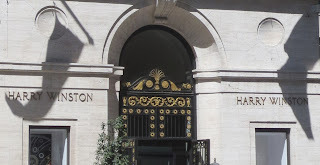 Harry Winston's mother and father emigrated from Ukraine in 1890. His father Jacob started a small jewelry business. As the legend says, Harry, 12 years old at that time , recognized a two-carat emerald in a pawn shop, bought it for 25 cents, and sold it two days later for $800. In 1920, at the age of 24, Winston started his first business, the Premier Diamond Company. Winston's jewelry empire started with the acquisition of Arabella Huntington collection after her death. Arabella was known as the richest woman in America and an collector of art, jewelry and antiques. Her son Archer donated many of her paintings, including two Rembrandts and a Vermeer, to the Metropolitan Museum of Art. Since Winston invented ‘celebrity jewelry dressing’, stars from Marilyn Monroe and Elizabeth Taylor to Gwyneth Paltrow and Angelina Jolie have graced the red carpet adorned by diamonds personally designed and crafted in the Harry Winston workshops. In 1968 Harry Winston purchased rough diamond over 601 carat in the South African kingdom of Lesotho. The cleaving (slicing ) of the stone, named Lesotho, was broadcast live on television in 1968. 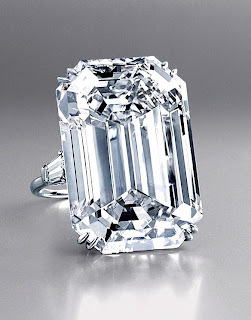 Aristotle Onassis purchased one of the stones for Jacqueline Kennedy Onassis’ engagement ring. She only wore it twice and then it was locked away in a bank vault in New York. 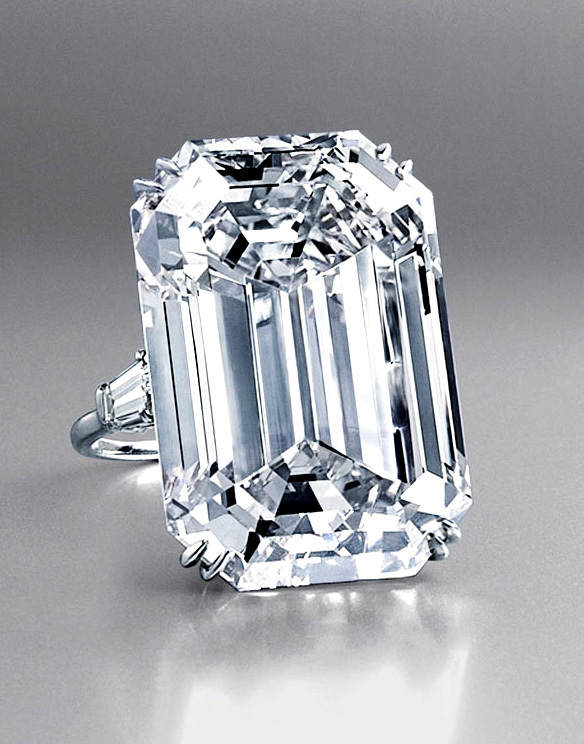 In 1996 Sotheby's auction of Jackie's estate the stone was sold for $2.59 million. By the end of his career, Winston had owned, at one time or another, most of the history’s famous diamonds. Winston bought 718 Fifth Avenue, at 56th Street in 1959. The original building was built in 1872 and belonged to a cabinetmaker and interior decorator Charles Baudouine, who used the house as the main residence. 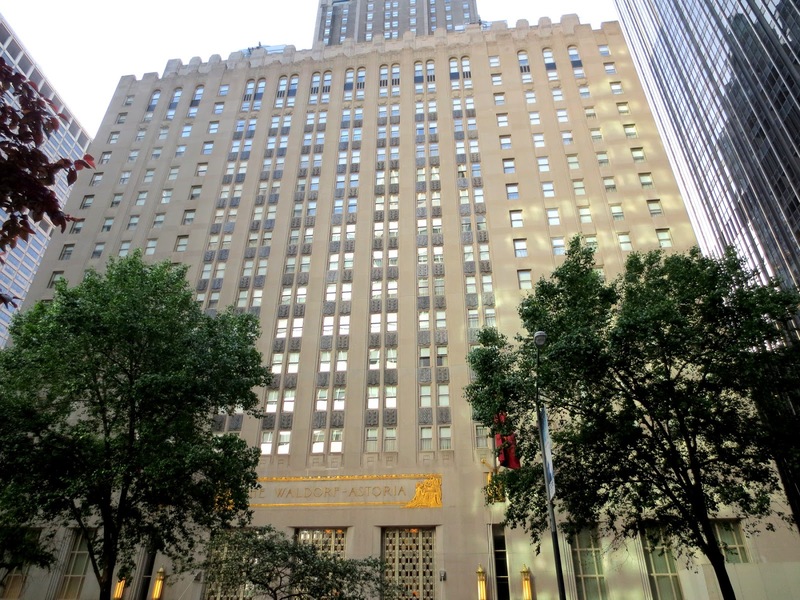 Fifth Avenue Association gave him an award for the best altered building of the year, when Winston moved his $35 million in jewels to the new location in 1960. Wilson had two sons and when he passed away in 1978, he left the company to his son Ronald and two trustees, but instructed that both his sons- Ronald and Bruce - should get equal income from the company. In 1990 Bruce filed a suit against Ronald demanding more information about the finances of the company. Ronald made several offers to buy his brother out but Bruce refused. Inc. for $44 million. Funds for that payment came from Fenway Partners, a NewYork-based private equity group, which received a 55% stake in return. 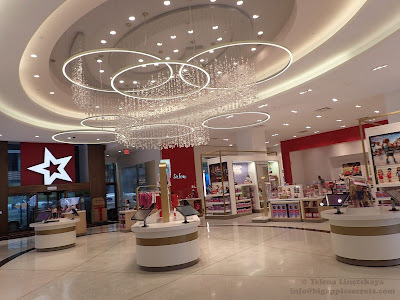 Three years later, Fenway Partners wanted to cash out and Aber Diamond Corporation, an exploration company formed in 1994 in Toronto, announced its plans for a friendly takeover of Harry Winston. By May 2004, Aber had acquired a 51% stake in Harry Winston for $85 million with an option to buy the rest of the company. Aber soon exercised its option and in September 2006, for an additional $157 million, it bought the rest of Harry Winston. A year later, Aber took on the glorious name of Harry Winston and the company began trading on the NYSE under the ticker symbol “HWD” and officially changes its name to Harry Winston Diamond Corp. HWD changed ticker and is traded now under DDC (Dominion Diamond Corp). In 2008 four men wearing wigs and female clothing entered a Harry Winston jewelry store in Paris neighborhood and swiped an estimated $100 million in jewels. It was the most important robbery in French history, only second to the world record in Antwerp, Belgium, in 2003. $25 million in stolen jewels was found three years later in Paris sewer. 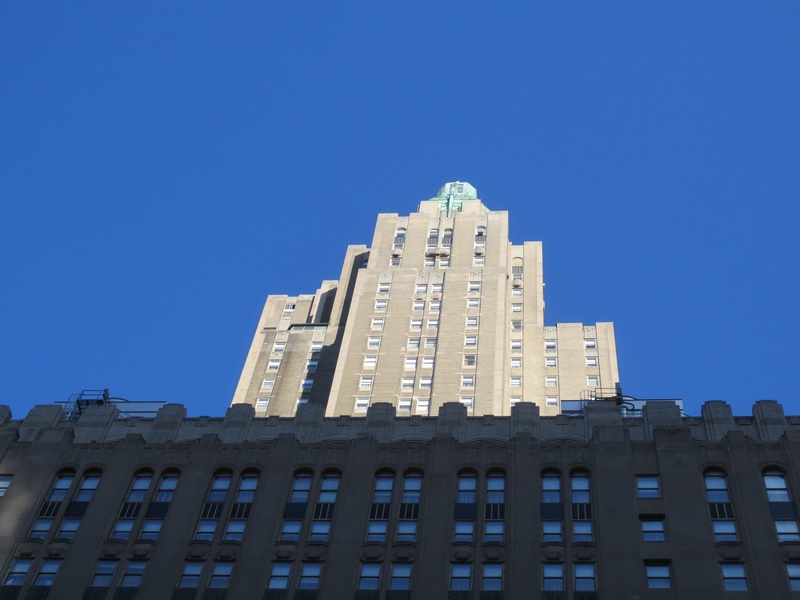 Waldorf-Astoria on Park Avenue between East 49th and 50th Streets was built in 1931. I told about the history of the hotel and the prominent Astor family , known as “the landlords of New York” in the first Post about “Waldorf-Astoria” and “En Emanuel” synagogue. President Herbert Hoover delivered a radio broadcast commemorating the opening of the hotel and congratulating its owners. 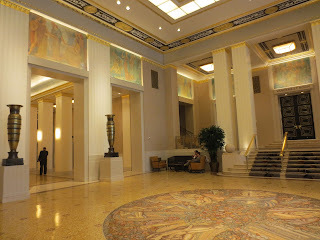 He said: “The opening of the new Waldorf-Astoria is an event in the development of hotels even in New York City. 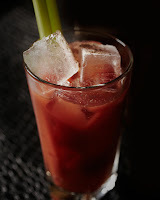 It carries on a great tradition in national hospitality. A long line of constantly improving hotels from that day to this has marked the measure of the Nation's growth in power, in comfort, and in artistry”. 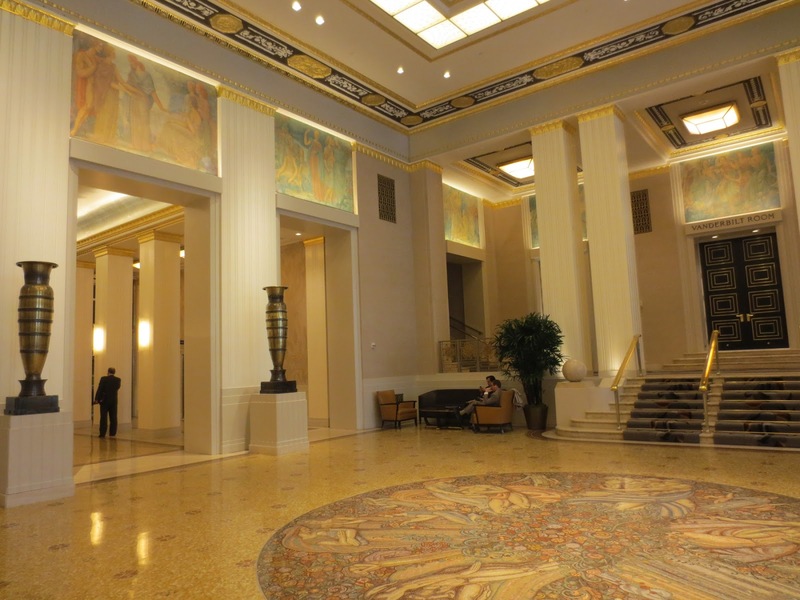 There were under two thousand rooms in the hotel, making it largest hotel in the United States when it was open. The new hotel has a handsome corridor an a restaurant which was built to captured the spirit of the fabled promenade in the old Waldorf “Peacock Alley”. 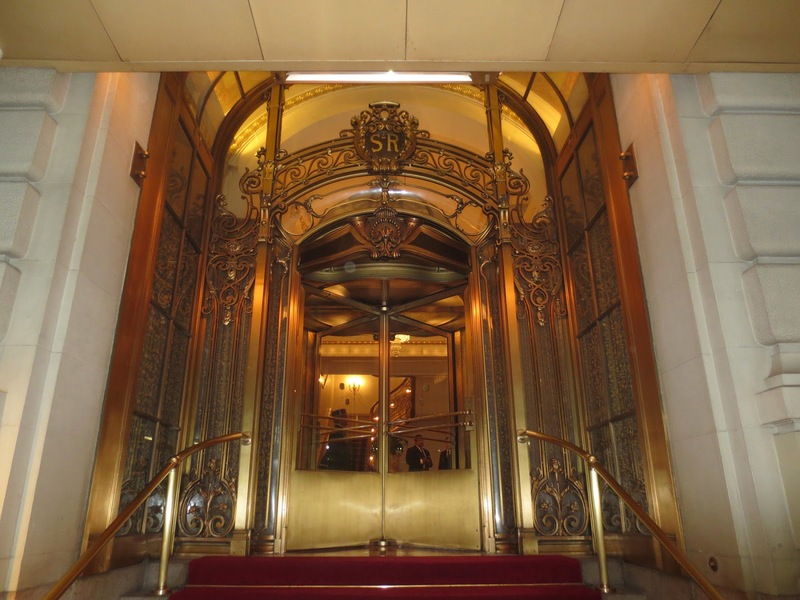 The Waldorf Towers has its’ own private entrance and elevator lobby on Fiftieth Street and is used exclusively for long-term tenants. The Towers have 115 suites and 90 rooms on the 28th to 42nd floors. President Hoover lived in New York in the suite 31-A for 30 years of the Waldorf Towers after departure from the White House and had a personal waiter. Every president since Herbert Hoover has stayed in the presidential suite. The President suite on the 35th floor includes four bedrooms, and the hotel hand-monograms towels for the first lady and president when they visit. The hotel has its own railway platform (Track 61) as part of Grand Central Terminal, used by the president Franklin D. Roosevelt. An elevator large enough for Franklin D. Roosevelt's automobile provides access to the platform. When President Bush was in the hotel in 2003 seeking international support for the U.S. resolution on Iraq, the Secret Service arranged for the Metro-North train to be parked at an abandoned platform, always running and ready for instant departure. Queen Elizabeth II, General Charles de Gaulle, Nikita Krushchev, David Ben-Gurion were among the gusts of the Hotel. Waldorf salad — a salad made with apples, walnuts, celery, grapes, and mayonnaise or a mayonnaise-based dressing — was first created in 1896 at the Waldorf in New York City by Oscar Tschirky, known throughout the world as Oscar of the Waldorf, who was the maître d'hôtel. There is a new lush green garden on the roof filled with planting beds of different vegetables and herbs. There are also six hives brimming with thousands of honey bees. This summer (2013) marks the second year the hotel is harvesting its own honey. 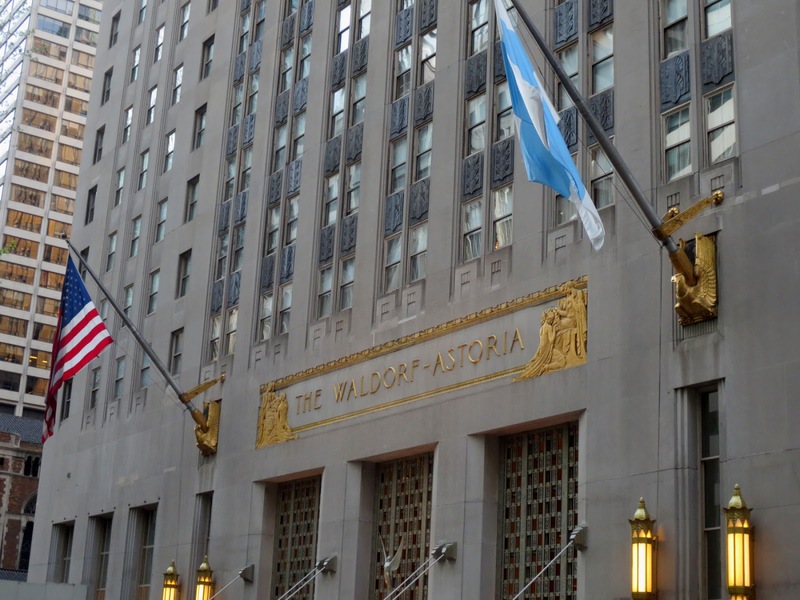 During 2006, the Hilton Hotels Corporation introduced the luxury brand Waldorf=Astoria Collection. The first three additional member hotels were in Arizona, Phoenix on Maui and in California. Waldorf-Astoria that sits on posh Park Avenue between East 49th and 50th Streets. Every president of United States after 1931 ( the year when the current Waldorf-Astoria was built) was the guest of the hotel. Waldorf-Astoria was built by two Astor cousins. 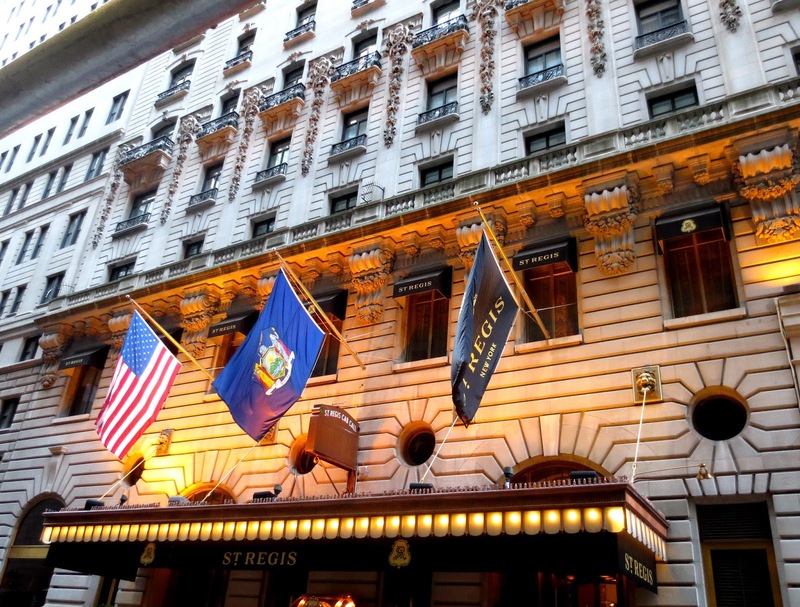 This famous hotel is not the first hotel in new York that was built by Astor. The first one was built by the founder of the family John Jacob Astor, who came to America in 1763 from Germany and made a fortune in fur-goods trading. 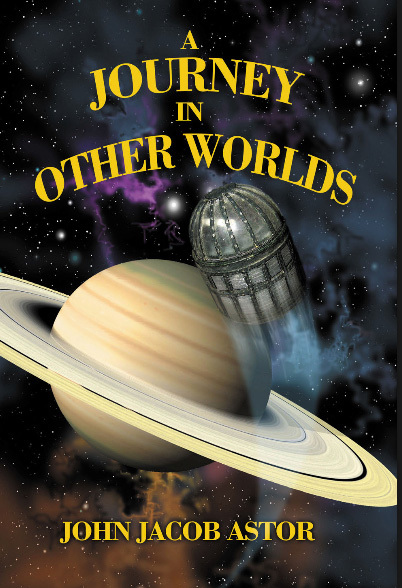 At the beginning on the XIX century Astor started buying and renting land. His motto was “never sell,” and he didn’t. 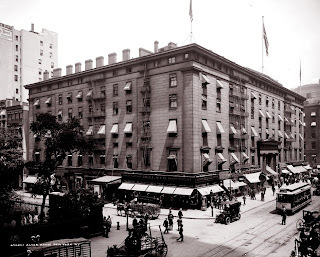 He assembled the building lots around his former house and opened hotel in 1836 on the west side of Broadway between Vesey and Barclay Streets. There were more than 300 rooms in 6 floors. The hotel had its own gas manufacturing plant that supplied gas lighting for the building. A steam engine in the basement ran a pump that provided water to all floors and powered machinery in the kitchen and laundry. There were 17 bathrooms and 2 showers. The running water for these facilities was provided by the reservoirs in the attic. The price was $2 per day. President Abraham Lincoln, Grand Duke Alexis , Admiral Farragut and Charles Dickens slept here. 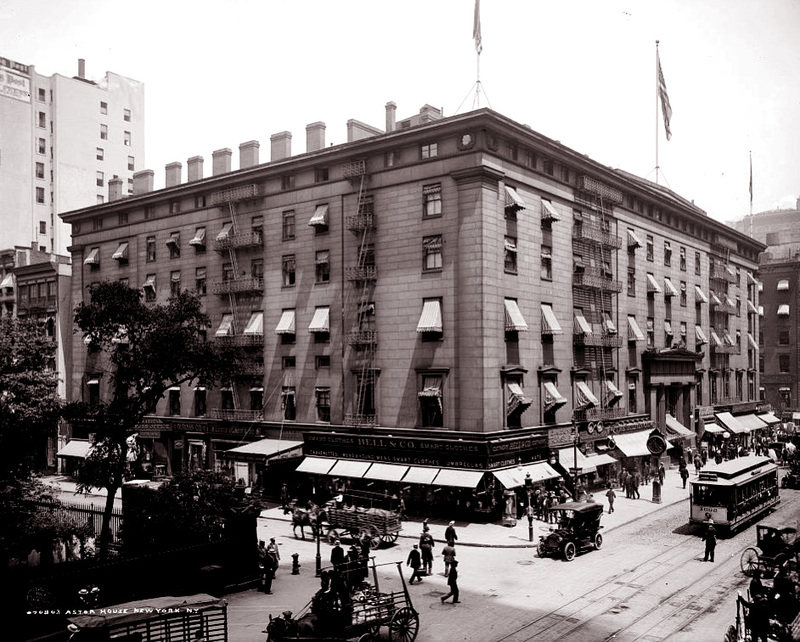 The southern section of the hotel was demolished in 1913 because of the subway building. The rest of the house was shattered in 1926 and the Transportation building was built. In 1827 William Backhouse Astor, son of John Jacob Astor I, who inherited the major portion of the estate, purchased a farm north of the city and built a small brick house at the corner of Fifth Avenue and 34th Street. 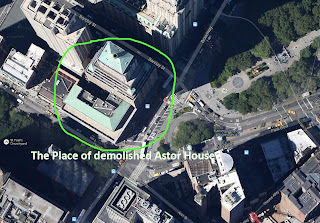 Within a few decades Astor’s section of the land became the most prestigious residential district in the United States. William Backhouse Astor was the wealthiest person in the U.S - he more than doubled the family fortune. After Williams’ death , the Fifth Avenue property was passed to his sons. 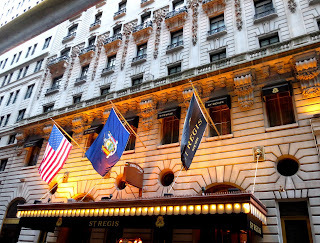 In early 1880s one of Williams’ grandsons, William Waldorf Astor opened the 13-story Waldorf Hotel on the site, which had formerly boasted his mansion, at Fifth Avenue at 33rd Street. Later William moved to London and become a British subject in 1899. He accepted a peerage of the United Kingdom and was elevated to the rank of Viscount. In 1908 he opened hotel in London, known now as “Waldorf Hilton” now. 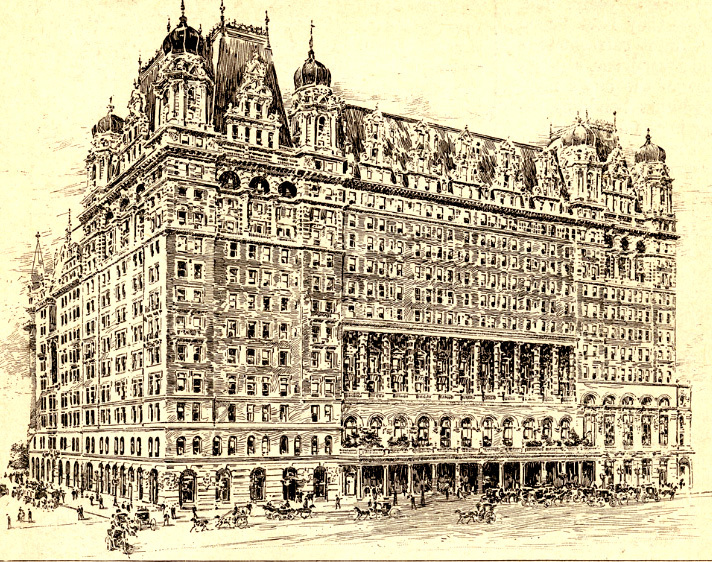 The “Waldorf hotel “ in New York had 17 stores, and was designed by the same architect who later designed the Plaza Hotel in 1907. There was a long corridor connecting two of the most popular restaurants in Waldorf, the Palm and the Empire rooms. Almost from the opening, the corridor was a popular promenade for ladies of fashion to display their gowns and jewelry. The society editor of the New York Tribune called it “Peacock Alley”. Four years later his cousin, John Jacob Astor IV built 17-story Astoria Hotel an adjacent site. 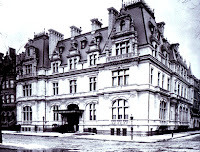 John Jacob had a lavish house on the corner of 5th Avenue and East 65. El Emanuel temple occupies this lot now. 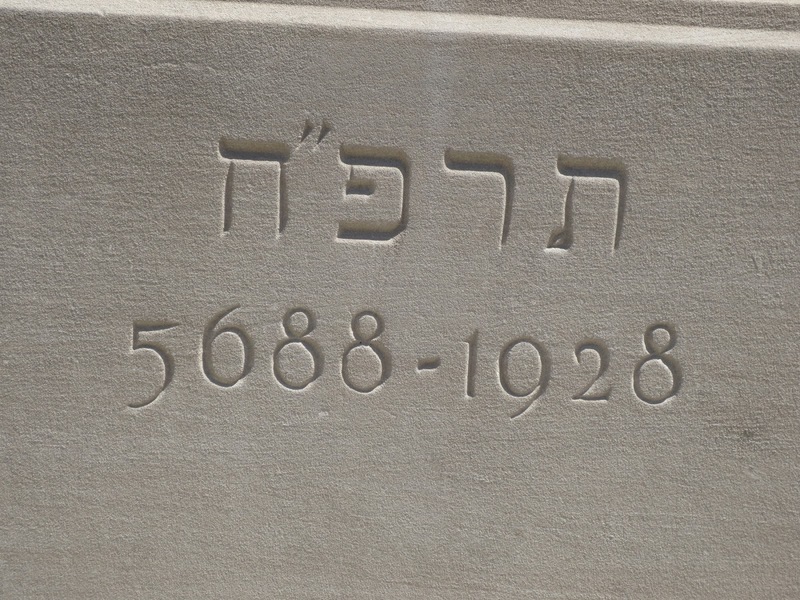 You can find more about El Emanuel in one of my posts. 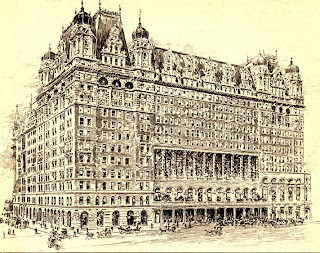 The hotels were initially built as two separate structures, but the architect planned the Astoria so it could be connected to the Waldorf by the “Peacock Alley”. 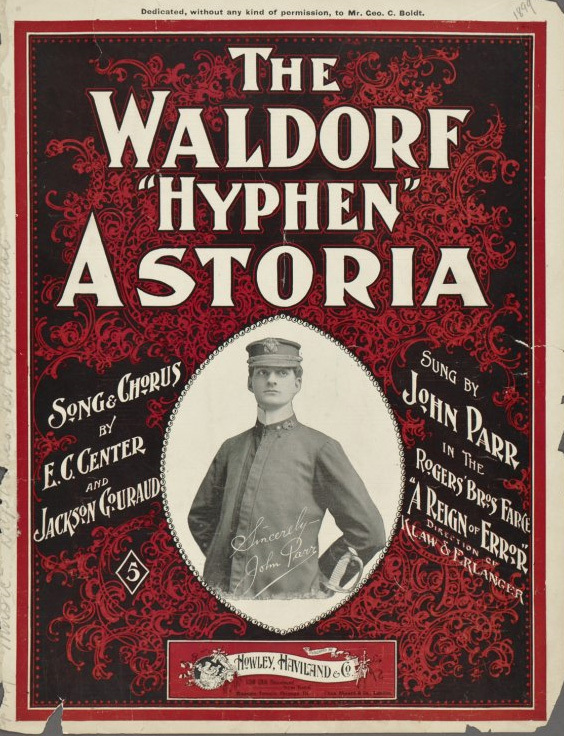 The combined hotel was originally known as The Waldorf-Astoria with a single hyphen, as recalled by a popular expression and song, "Meet Me at the Hyphen." The first words of the song are “At the Waldorf hyphen Astoria no matter who or what you are”. 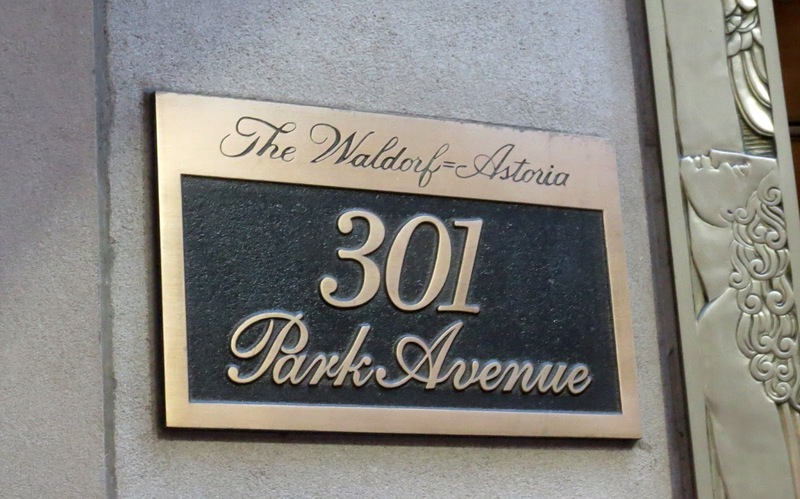 The sign was changed to a double hyphen (Waldorf=Astoria) by Conrad Hilton when he purchased the hotel in 1949. Hyphen completely removed from the hotel name in 2009. The combined Waldorf-Astoria was the largest and the tallest hotel in the world at the time. 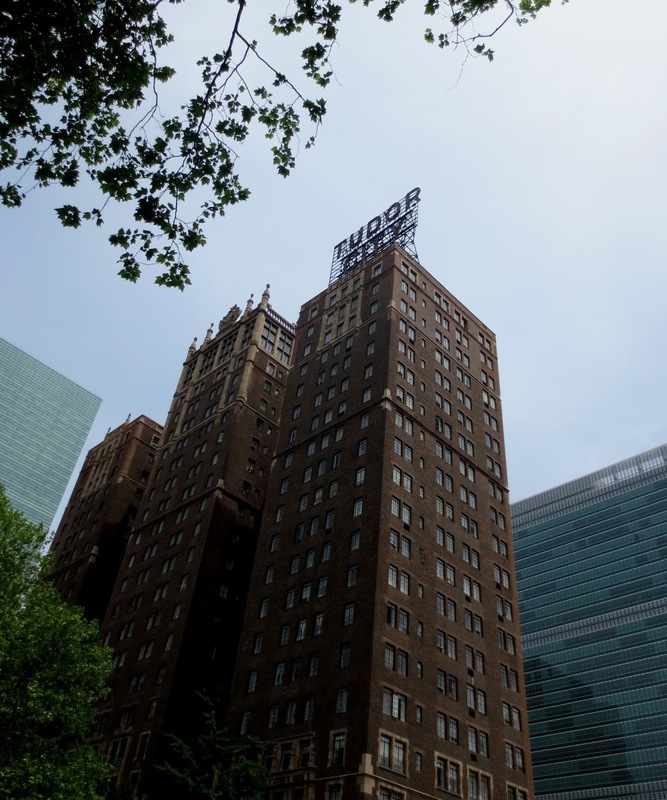 It was the first hotel to offer room service and was the first hotel to offer permanent living spaces in its suites. 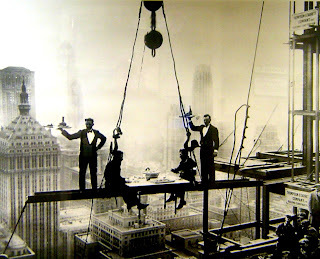 The Waldorf-Astoria was the first hotel to put an end to the old-fashioned Ladies’ Parlor rule and ladies can have dinner in the same room as gentlemen. 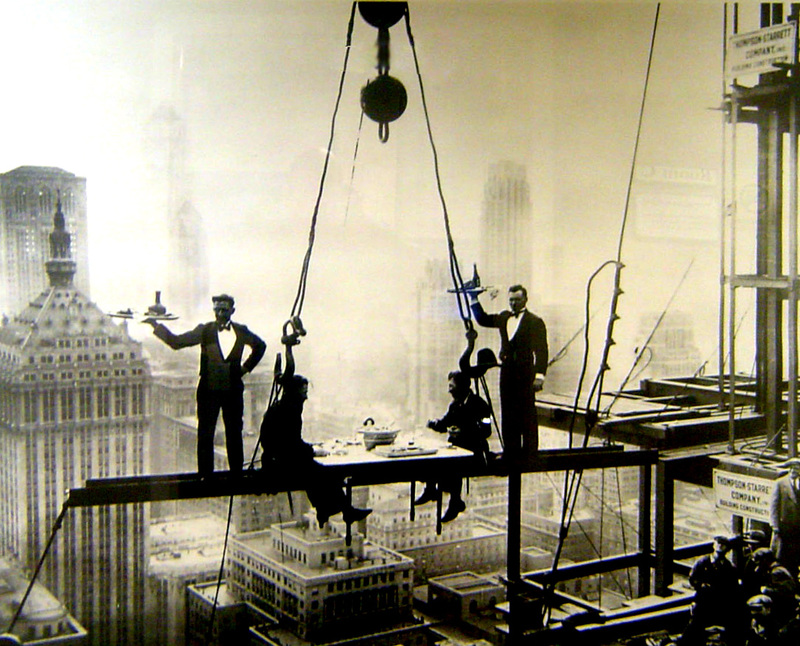 In 1929 the original hotel was sold to Bethlehem Engineering Corporation and torn down to make room for the Empire State Building. Former Waldorf manager Lucius M. Boomer had retired to Florida after the demolition but he retained exclusive rights to the name, which he transferred to the new hotel. 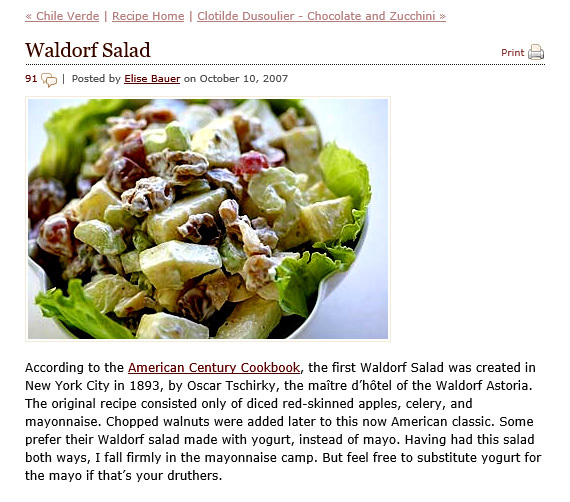 Boomer died in an airplane crash in 1947 and Conrad Hilton bought The Waldorf Astoria in 1949. 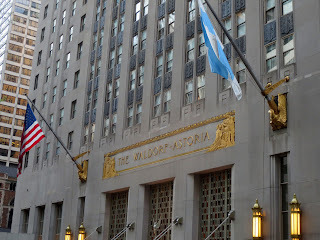 The new Waldorf-Astoria was opened to the public on October 1, 1931. 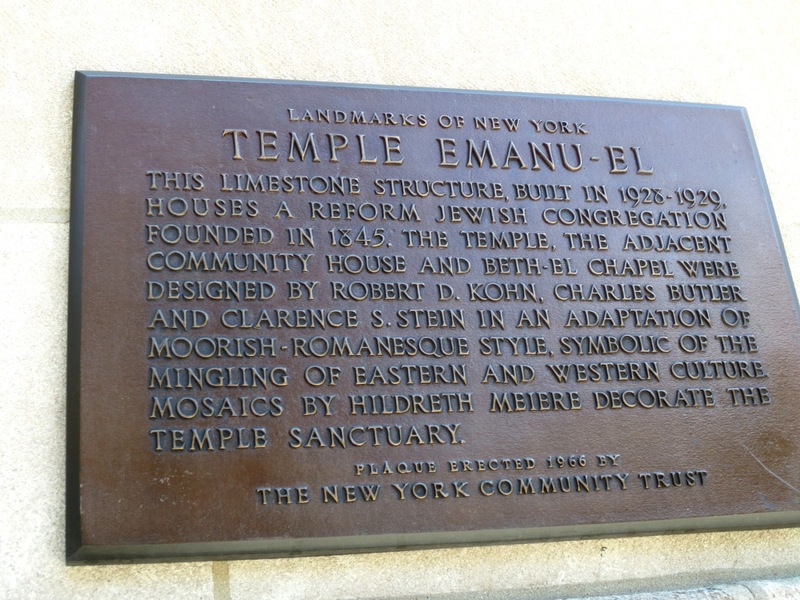 Temple Emanu-El in New York City ( 5th Avenue and East 65) is the largest synagogue in the world. 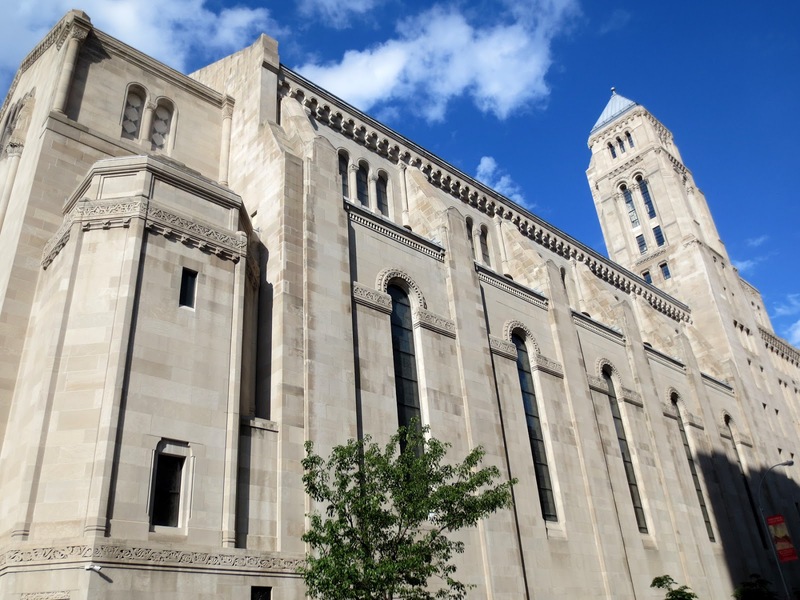 It can accommodate 2,500 worshipers - more than St. Patrick's Cathedral in New York. Temple is made of the limestone and is designed in the Romanesque architectural style with Moorish and Art Deco elements. Directly out front of the temple there is an enormous wheel-like window with twelve spokes that represent the twelve tribes of Israel. 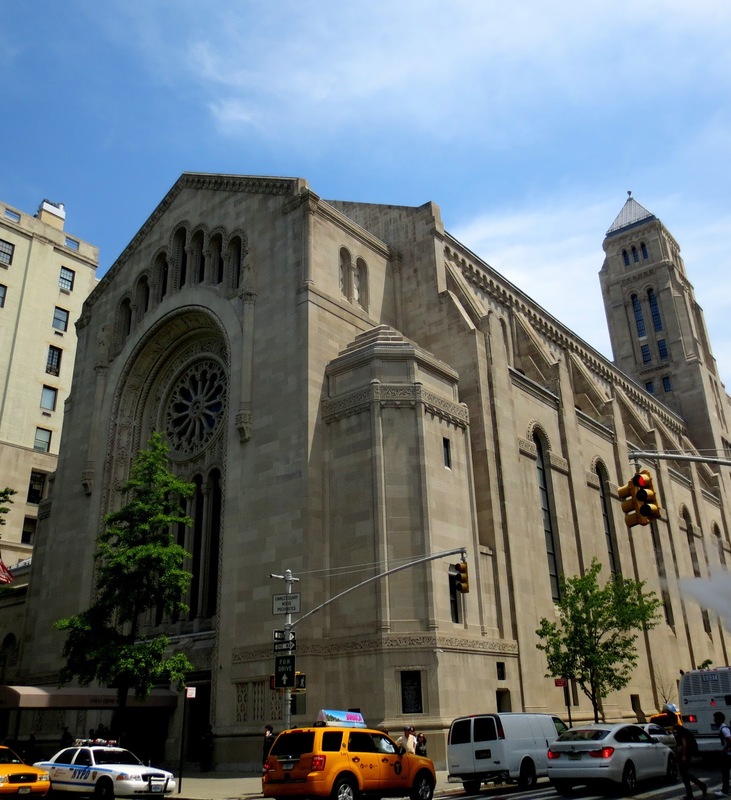 Temple Emanu-El is on the site of demolished John Jacob Astor IV mega mansion that had been sitting on the corner of Fifth Avenue and 65th Street from 1895. The house was one of the grandest houses in New York at that time. Jack was a great-grandson of John Jacob Astor, the founder of the prominent Astor Family, who arrived from Germany penniless , made fortune with fur trading and made the Astors’ one of the wealthiest families in the America. John Jacob Astor IV went down with Titanic in 1912 after helping his pregnant wife escape into the last lifeboat. His son Vincent sold the Astor Mansion to developers for $130,000. The salon, library and all of the painting in the ballroom where bought by the John Ringling for his Italian Renaissance style mansion in Sarasota. John Ringling, who is mostly known as a circus showman and promoter, bought massive bronze doors from the Fifth Avenues entrance of the Astor Mansion. These doors now are at the entrance to the Sarasota Art Museum in Florida. He also purchased many of the paintings that were in the great Astor ballroom and complete fittings of several rooms, two of which are re-installed in Museum. 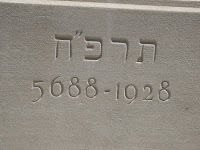 The temple's first ceremony was in September 1929, a few short weeks before the stock market crash. 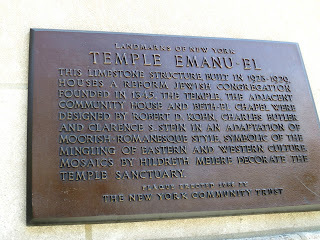 The Emanu-El congregation was the first Reform congregation established in New York City . 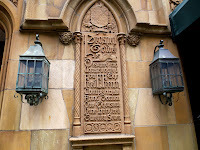 It was founded in 1845 by 33 German Jews, who assembled for in a rented hall in Lower East Side. In the end of XIX the mixed seating was adopted, allowing families to sit together, instead of segregating the sexes on opposite sides of a hall. The congregation also eliminated mandatory head-coverings for men. Michael Bloomberg and Eliot Spitzer are the members of the congregation. 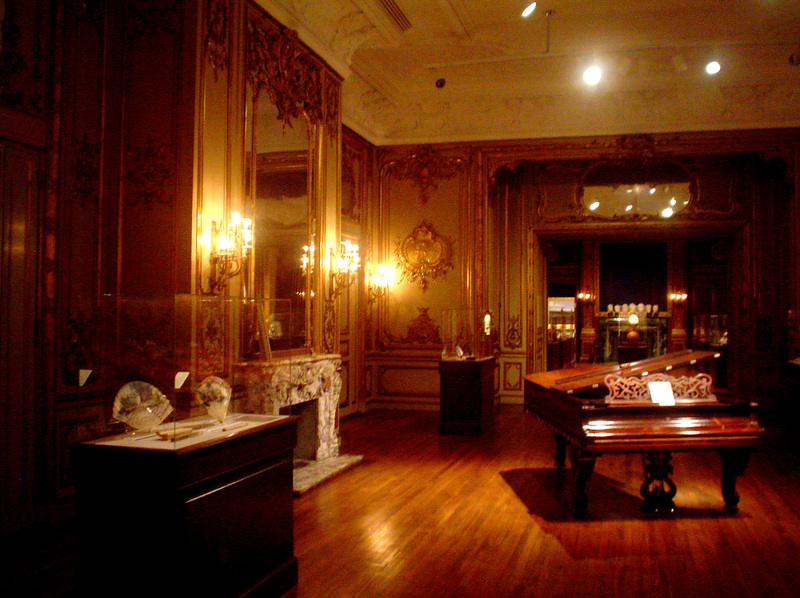 There is in-house small museum where religious relics, some dating back to the sixteenth-century are kept. 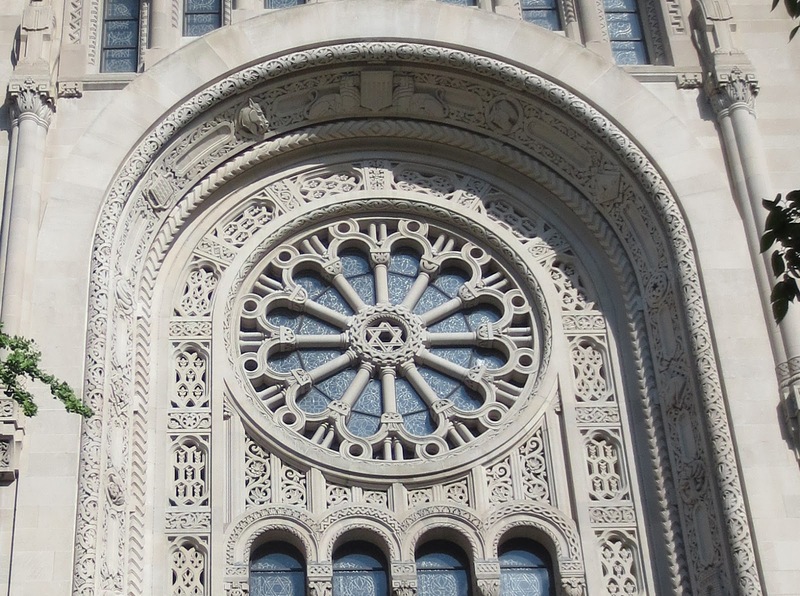 Temple Emanu-El also hosts lectures, films, music, symposiums, and other events. If you go along East 42 in Midtown, Manhattan up to the east end you can see a huge sign on the top of the building ”Tudor City”. This city within the city is the first residential skyscraper complex in the world built by one of the largest developers in New York Fred F. French. French wanted to create an apartment complex with a suburban ambiance and a spirit of community, the urban Utopia-- a "human residential enclave" that boasted "tulip gardens, small golf courses, and private parks." He hoped to attract young people who would want to spend one to two nights in the city, but he also wanted to have large apartments for families. 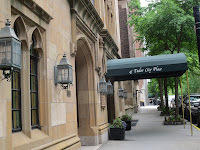 In 1925 Fred F French started construction of what he called “The largest project in Midtown.” The project was named Tudor City. In order to get money for this development French invented the “French Plan”, which allowed citizens to buy stock in his plan, receive dividends and share in the profits. The location for the construction was selected with great foresight. It was very close to the newly built Grand Central Terminal and commercial hub. 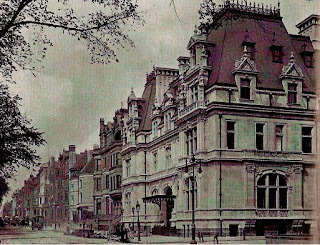 French secretly bought up the old tenement buildings that then occupied the cliff First Avenue between E 41st and E 43rd Streets. Most of the land was purchased before the former owners realized they could have a better price. French put his complex on a Prospect Hill cliff with the three main towers facing west, turning it back to the river. At the time, the waterfront along the East River had meat packing houses, coal-burning Con Edison plant, glue factory, slaughterhouses and barge landings. 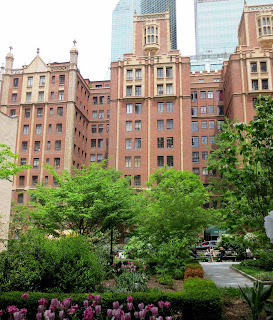 Tudor City was considered "the real estate investment of the future" and the largest housing project in Manhattan to date. 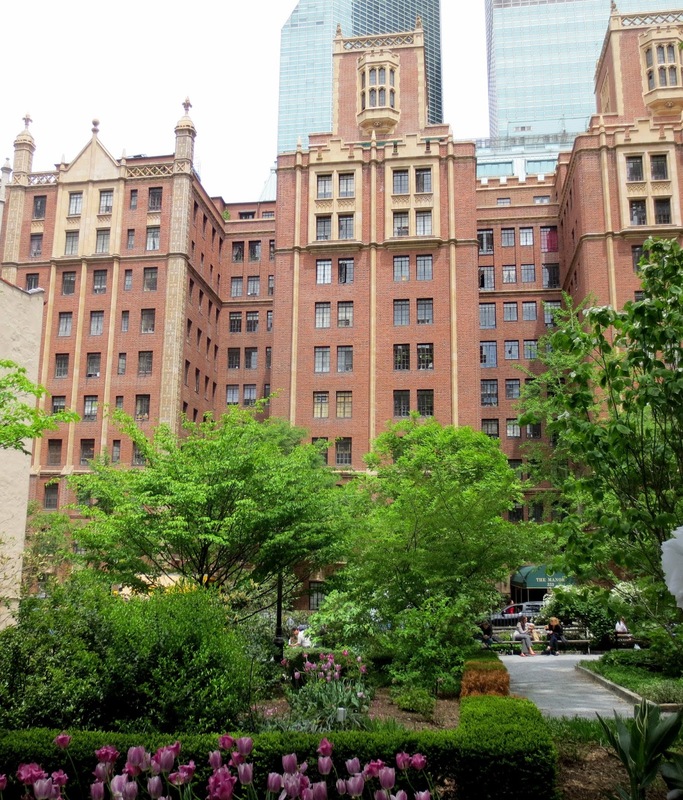 The architecture of Tudor City is a mix of early 16th Century Tudor and late 16th Century Elizabethan style. Tudor style was a very popular style for suburban housing at that time. Complex consisted of 12 apartment buildings with more than 3000 apartments and 600 hotel rooms. At that time average rent was $500 per room per year. Community had a drugstore, a laundry, a grocery store, a liquor store, restaurant, flower shop, and even a kindergarten. Many of these amenities were in the same location as their successors today. 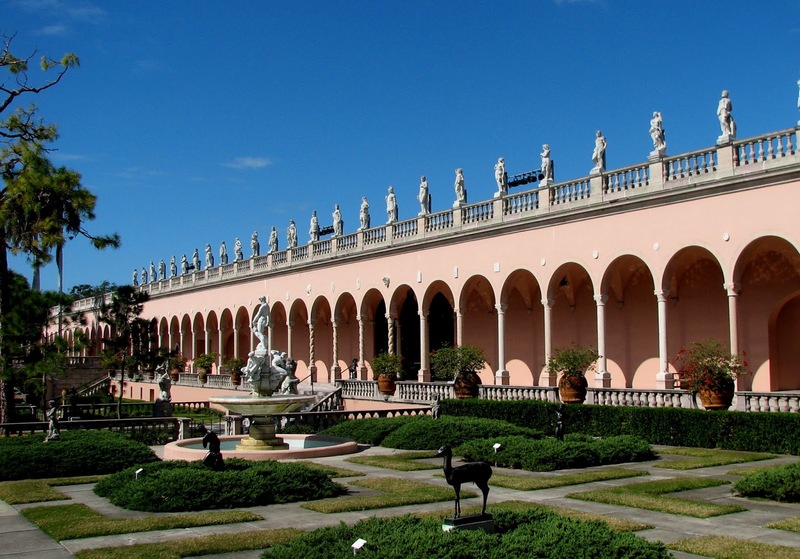 There were four beautiful gardens with arbors and gazebos, fountains and tree-shaded walks on both sides of 42d. There was even a 18 hole miniature golf course with lighting for evening play. There was a local newspaper “Tudor City View” published by residents from 1941-1968. There was also theater workshop, the camera club, the art league, the language club, the chorale at that time. After the Second World war John D. Rockefeller bought the land near the rover to build United Nations building. 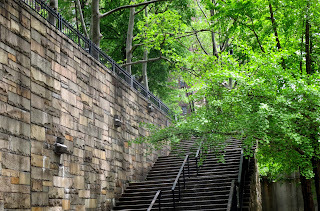 A tunnel that channeled 42nd Street traffic beneath Tudor City to First Avenue was replaced by the bridge and the steps on either side of 42nd Street were created to provide pedestrian access to Tudor City. Tennis courts in 1954 were demolished to free the space for new Tudor Gardens. 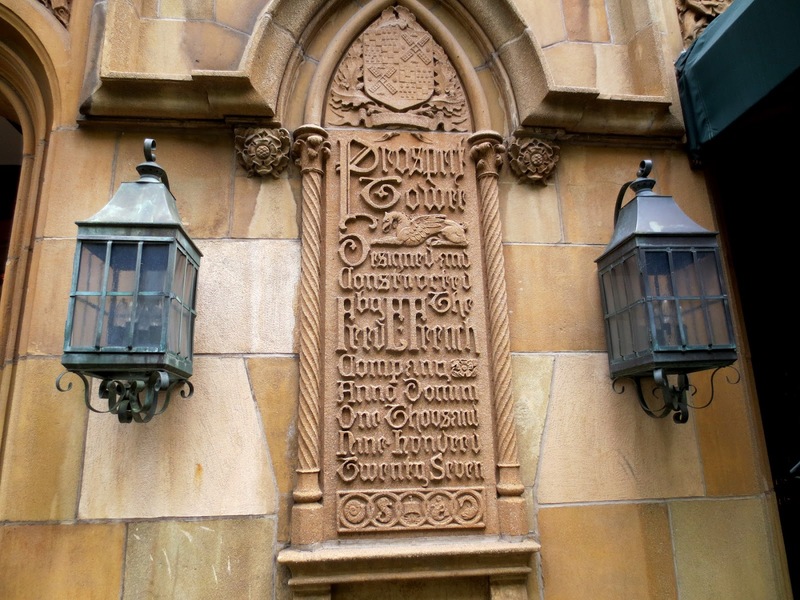 French died in 1936 but the firm he founded continued to own and manage the properties until 1972, when the Helmsley-Spear company bought Tudor City. Mr. Helmsley's planned to erect several high-rise buildings on the site of the two parks. On a sunny Sunday morning on memorial weekend in 1986 a bulldozer appeared near the park. An early riser noticed it coming and sounded the alarm. People poured into the street and blocked the bulldozer from entering the parks. After a prolonged battle, the community won. 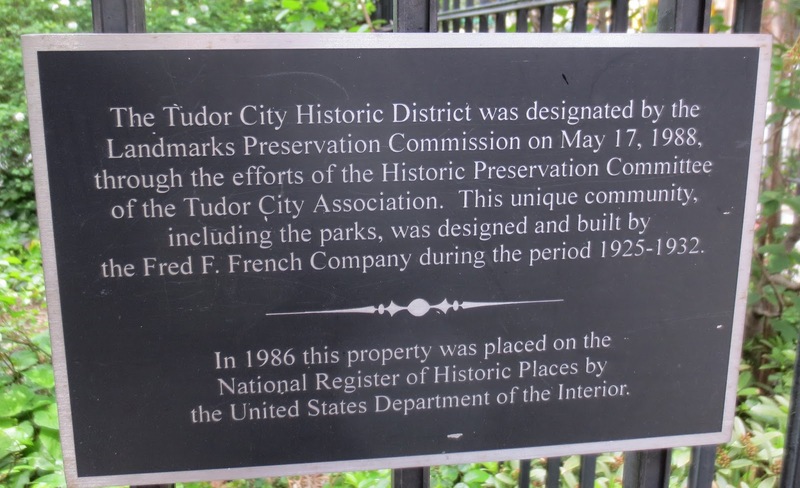 In 1988, The Landmarks Preservation Commission designated Tudor City a Historic District. Tudor City Greens, Inc. was formed in January 1987 to take care of the parks. Each summer for the last five years, one of the parks has hosted a concert series. 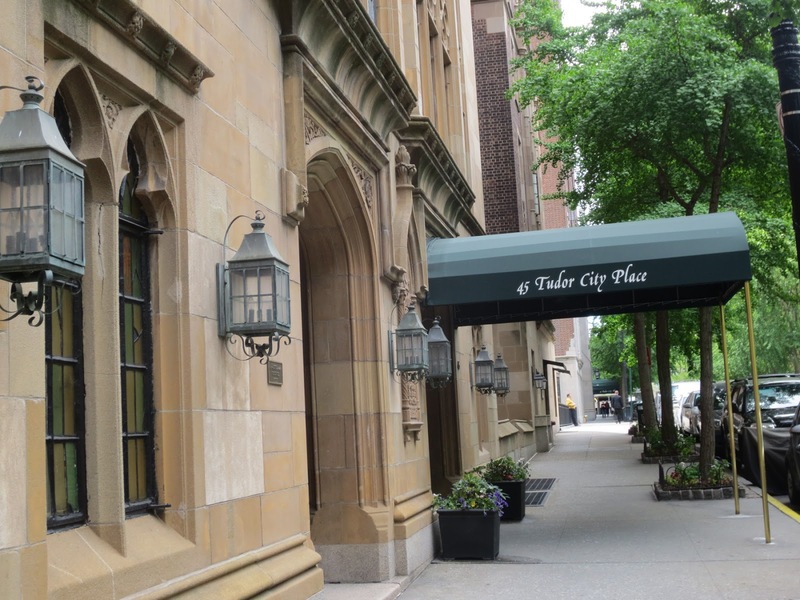 Tudor City now is a home to over 5000 residents and you can be one of them – just buy one of the apartments - the small studio or one bedroom. The price is about $1000 per sq. feet. 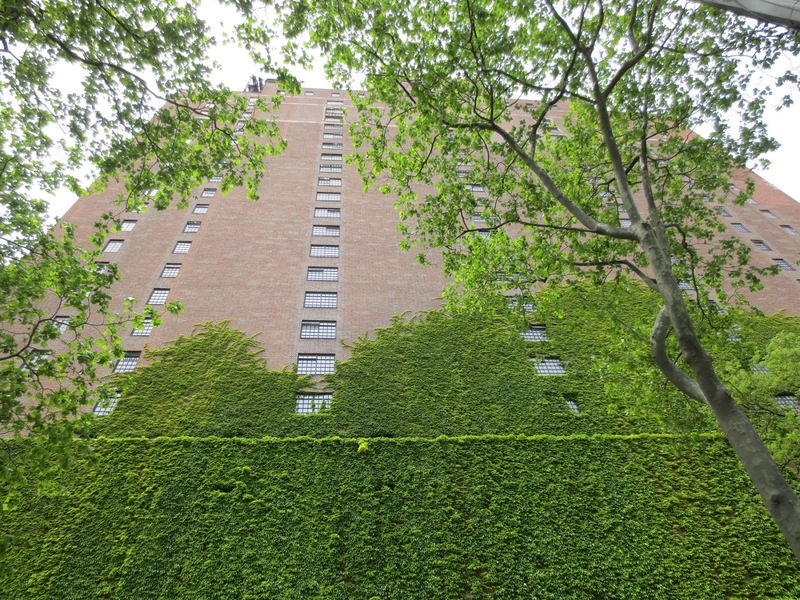 Or you can rent a small studio with the Murphy bed for less the 2K - renters make up 60 percent of residents at 45 Tudor City Place, or Prospect Tower, the building with the “Tudor City” sign on its roof. 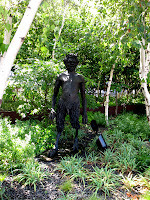 The High Line is an elevated freight rail line transformed into a public park on Manhattan's West Side. 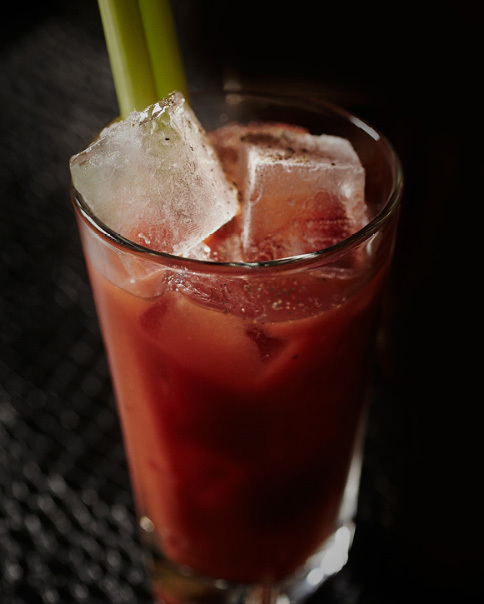 It is owned by the City of New York, and runs for 15 blocks from Gansevoort Street, three blocks below West 14th Street up to 30th Street. Park is open daily, from 7:00 AM to 11:00 PM and has multiple access points almost every two blocks, but only one restroom station at the 16th Street access point. 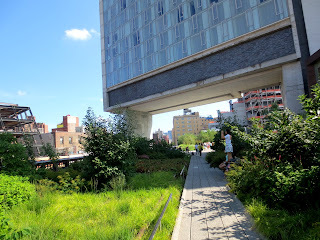 I wrote about the history of High line in the first part of my story. The park does not contain any recreational facilities and does not permit biking and rollerblading and dogs are not allowed. 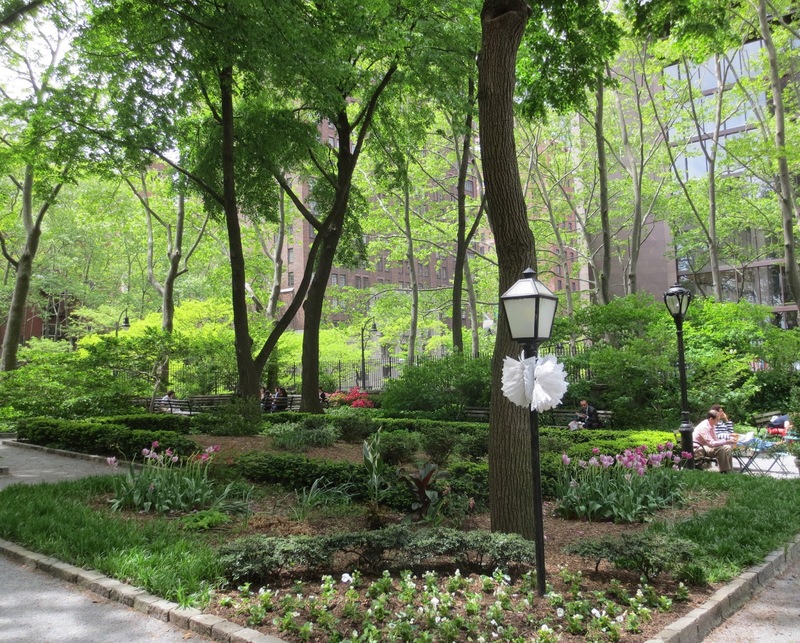 Park is place for relaxation and meditation and provides visitors with panoramic views of NYC, the Hudson River, and the New Jersey waterfront. 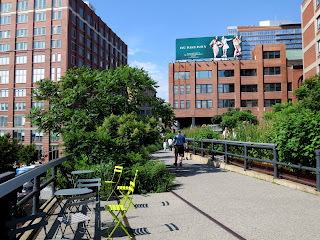 Commuters and morning joggers use High Line as a shortcut without traffic lights. You can relax on the grass to escape from the heat at summer. A little patch of green in the middle of so much brick, concrete and steel can be very soothing. There is a sundeck at 14th Street and a shallow skim of water that bubbles up over a section of the pathway and you can put off you shoes and tiptoe through the cool water- it is really priceless on a hot summer day! There are many individual benches and nooks scattered about. There are nice beach benches you can use to lounge. There's also two small theater like seating areas where you can have a meal or just do people watching. 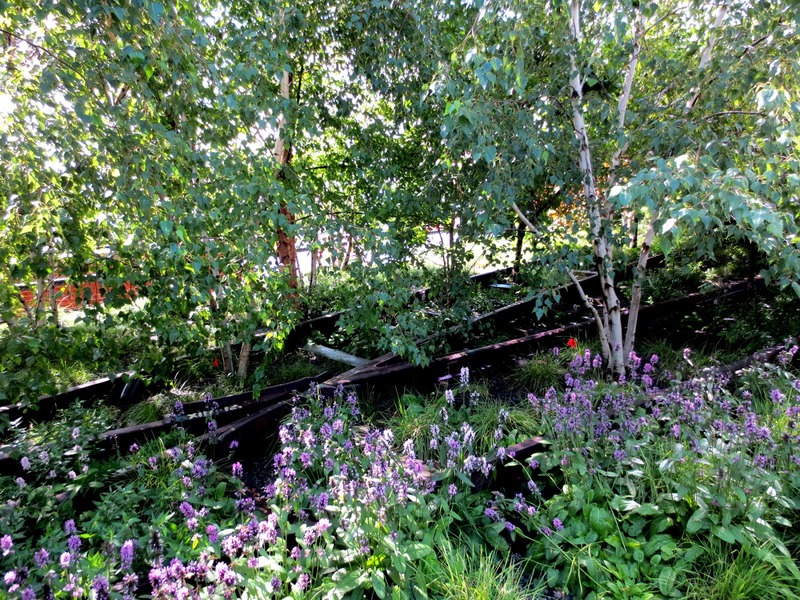 The wood used on the High Line was harvested from a managed forest and has life-span of up to 100 years. 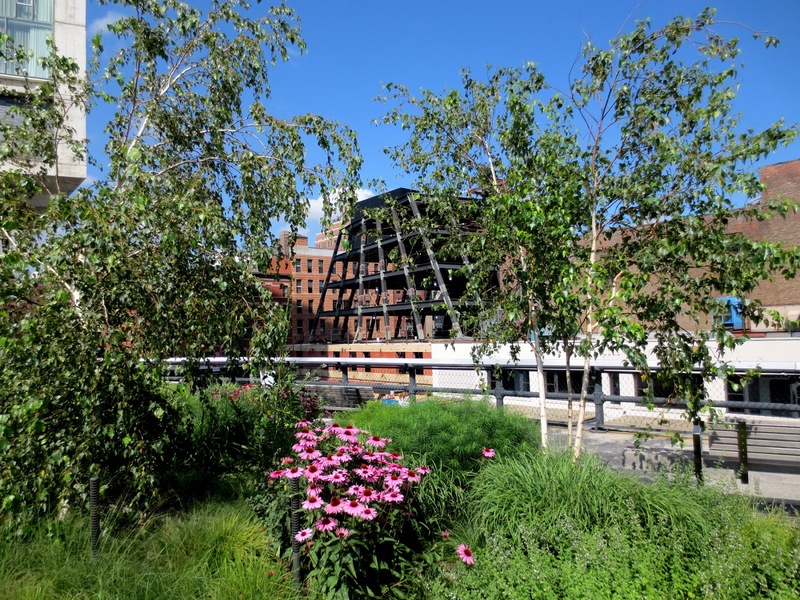 The High Line's landscape uses the same technology as a green roof. Plantings, mostly native and produced by local growers, create shade, oxygen, and habitat for insects and birds. 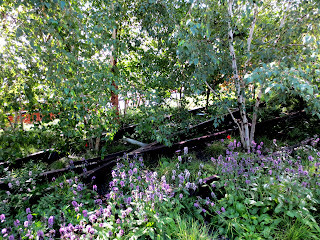 Many of the 1930s railroad tracks are still in their original locations, integrated into the planting beds. 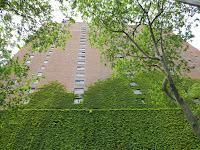 The southern section between Gansevoort and West 12th Streets is more heavily planted than the rest of the park. 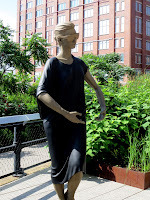 In 2013 High Line Art announced Busted, the HIGH LINE COMMISSION that includes figurative sculptures, celebratory portraits, and c monuments installed on the High Line. 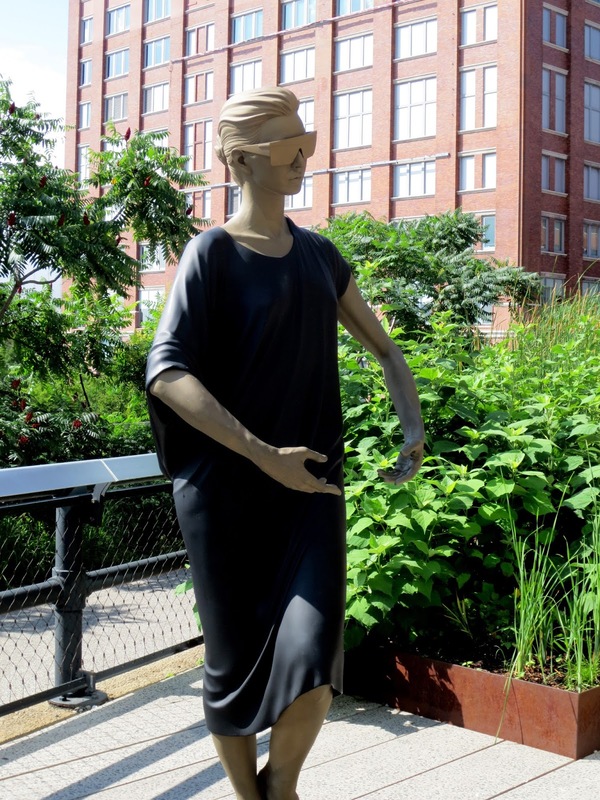 The public is invited to participate in an open poll and vote online for a person who in their opinion should be commemorated in a monument to be installed on the High Line. 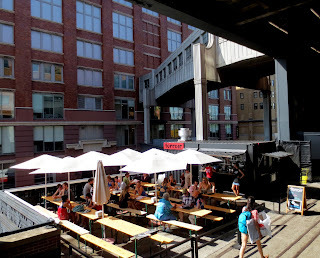 There are a lot of food vendors on the High Line. The earliest to open at 9AM is BLUE BOTTLE COFFEE at West 15. 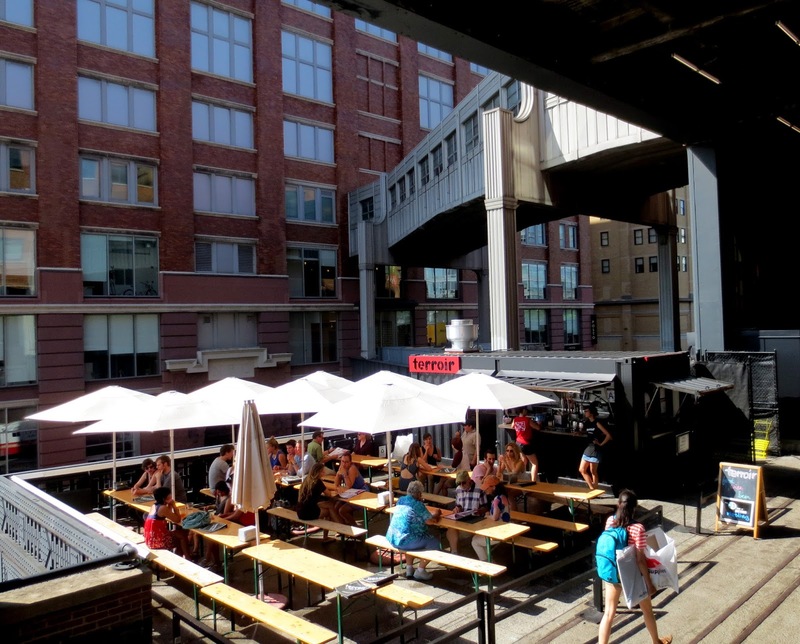 There is a full service seasonal open air café TERROIR AT THE PORCH, also as West 15 . The cafe is open up till 9PM. 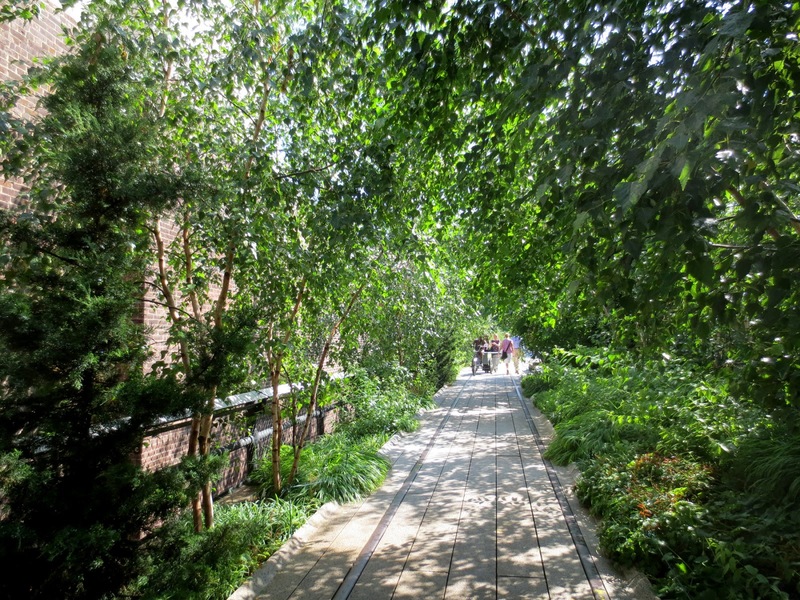 Every Tuesday from 6:30pm to 7:30pm between Tuesday, May 7 and Tuesday, September 24 there is a free High Line tour. 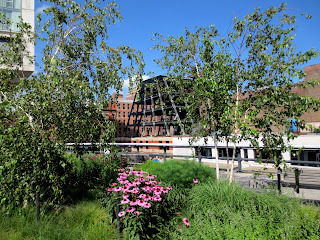 The tour starts on the High Line at West 14th Street . 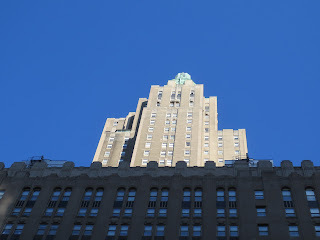 The only one modern building that was raised over and above the park is Standard Hotel. The hotel was designed by Todd Schliemann and looks like an open book. 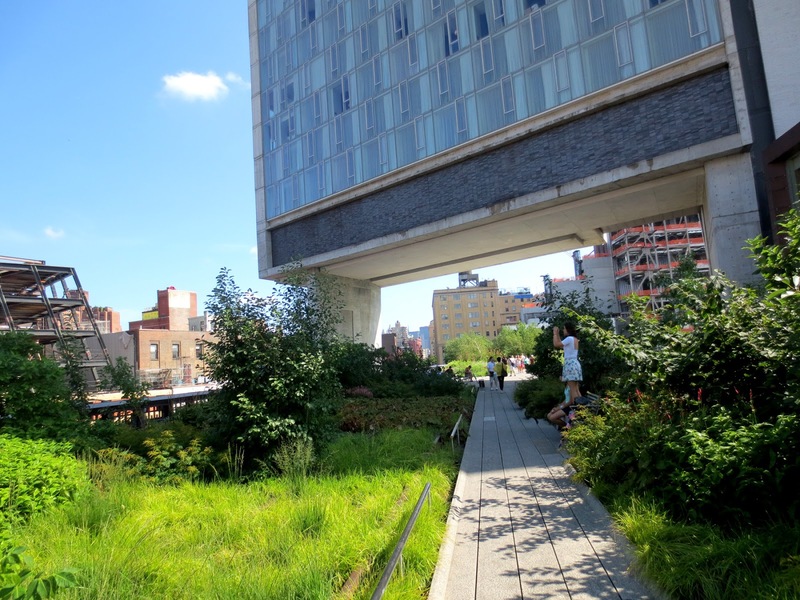 High Line lifts NYC residential property values. 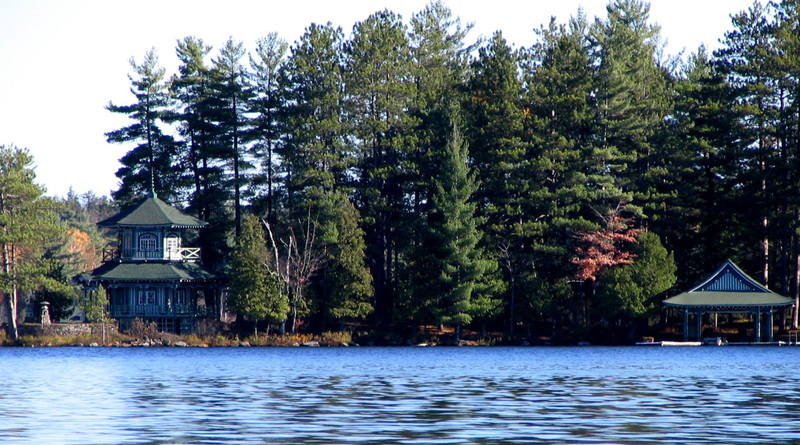 Between 2003 and 2011, nearby residential property values grew 103%, according to The New York Times. Blackhouse, a New York basedrel estate group announced this June a plan to build Soori HighLine condo near High Line with 27 ultra-luxury apartments with interior pools, a Japanese restaurant and lobby bar. Zaha Hadid, a famous Iraqi-British architect, has a plan to build an 11-story, luxury apartment with 37 units block near the second section of the High Line in Chelsea, at 520 West 28th Street. It will be her first project in New York. In February 2013 Zaha was assessed as one of the 100 most powerful women in the United Kingdom by BBC Radio 4. 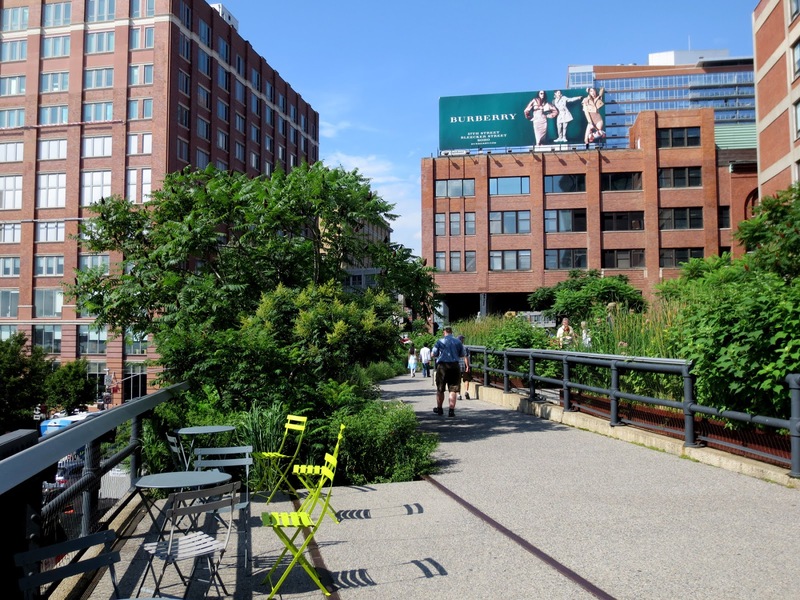 Inspired by New York's success with its High Line park, Philadelphia plan to redevelop an abandoned viaduct into an elevated urban park. Chicago has a $91 million project to convert BloomingdaleTrail into the public park. 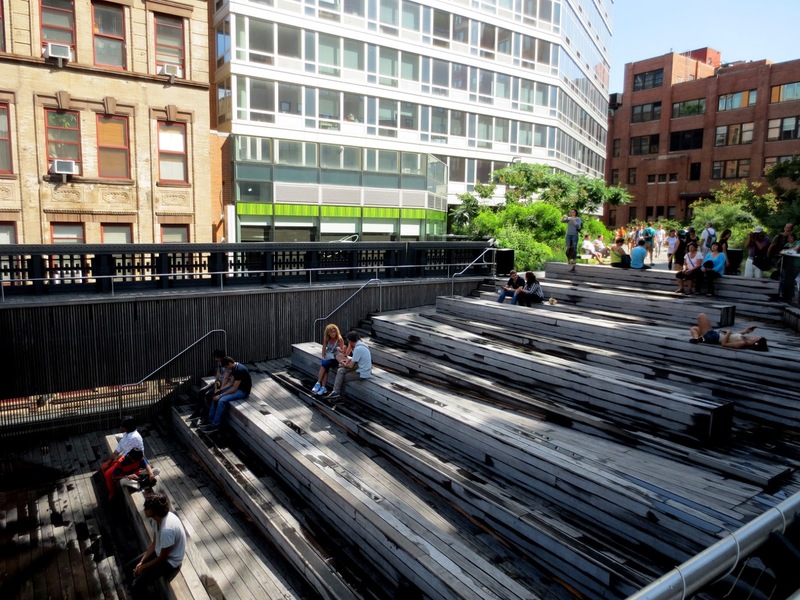 Other countries already have or plan to have public parks similar to New York High Line. 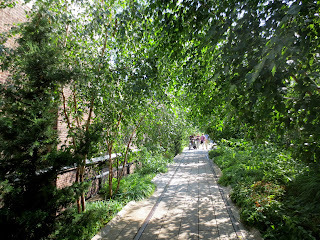 I wrote in my previous post that Promenade Plantée in Paris, France was a model for New York High Line Park. London will have its’ own version, “Missing Link”, in 2017. Two London architecture firms won a competition to design a landscaped walkway south of the River Thames, that will link new and existing galleries, public works of art and an open-air auditorium. 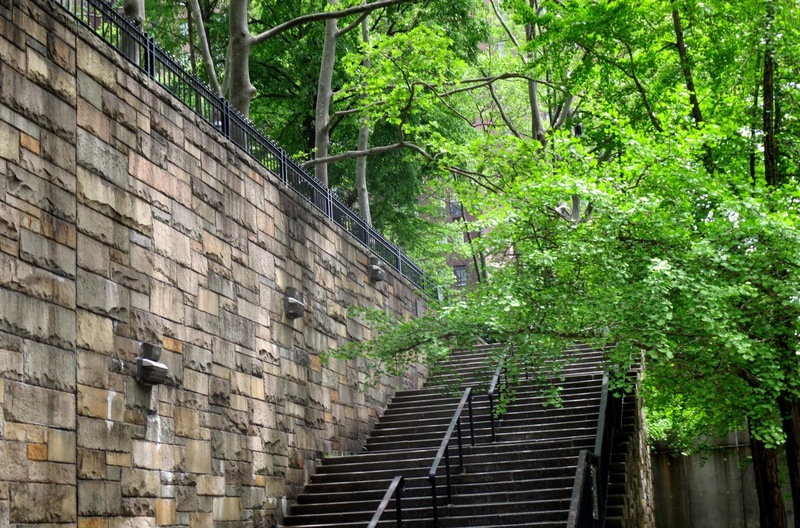 Last year Joshua David and Robert Hammond, the co-founders of the New York High Line, gave a talk at the Garden Museum on designing urban green spaces in London. New York City already has the High Line, but another project is making headway: The Delancey Underground or “Low Line”. The Low line, which currently exists as a former trolley terminal below Delancey Street will be transformed into the city's (and world's) first subterranean park. The former Williamsburg Trolley Terminal was opened in 1903, as a depot for streetcars ferrying passengers between Williamsburg ( Brooklyn) and the Lower East Side. It was in service until 1948 when streetcar service was discontinued, and has not been used ever since.